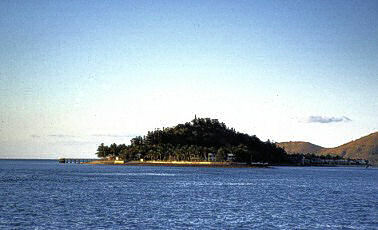 Daydream is one of the smaller, possibly the smallest island of the Whitsunday group. In fact there is only the hotel and it's facilities on it. Certainly not a bad place for people enjoying the benefits of a holiday resort and a good place to relax from the journey, too. I first liked the dive center and the possibility to write postcards during daytime.